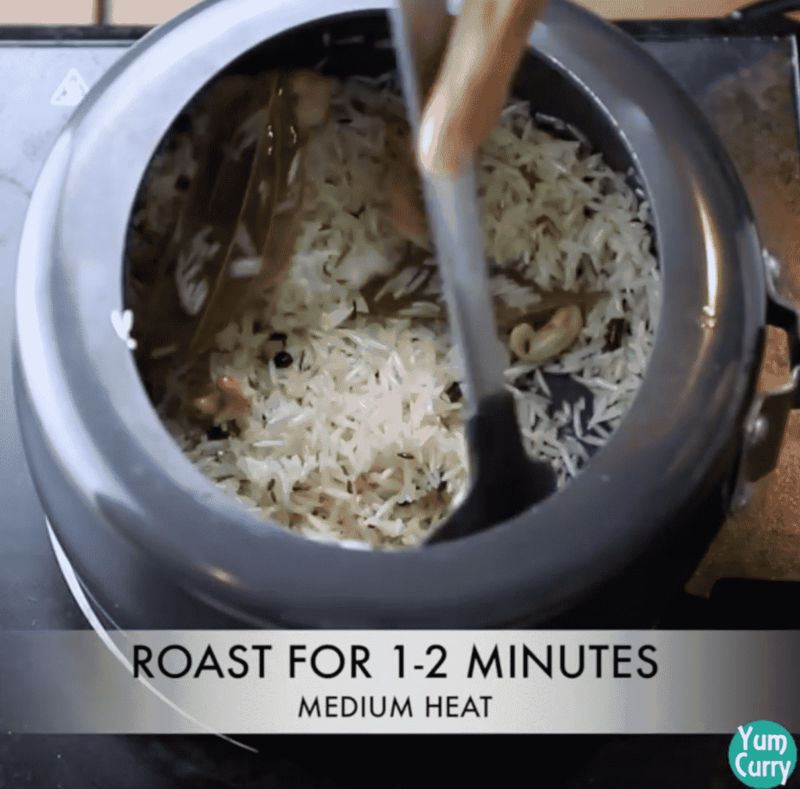 Matar pulao – this Indian pulao dish do not need any introduction. 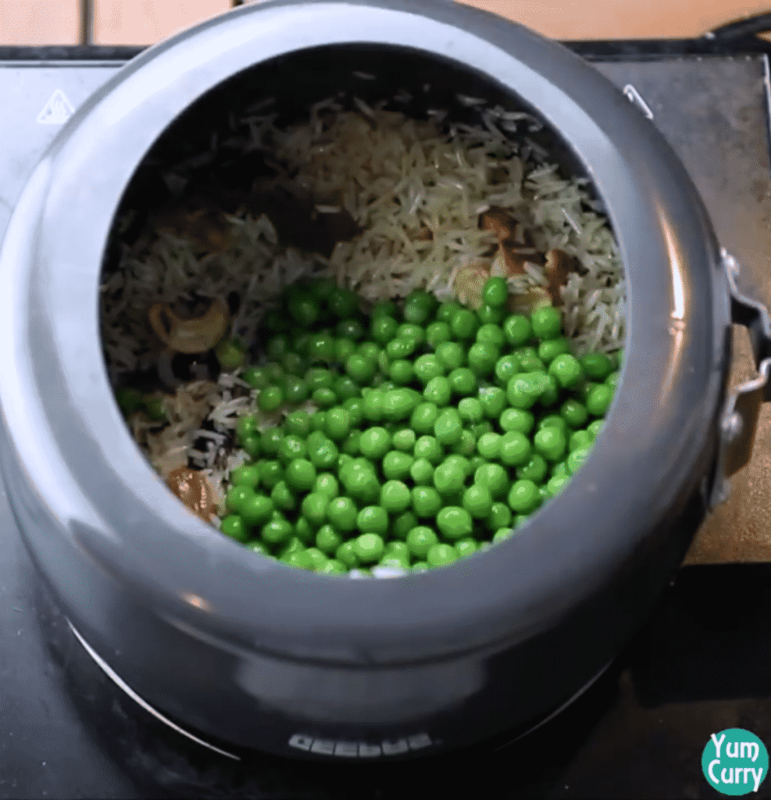 This simple and easy pot dish is prepared with peas and rice. Rice and peas are sautéd in whole spices and herbs and later cooked in pressure cooker. Matar pulao tastes delicious and full of flavour. It is commonly served with vegetable raita or dal tadka. 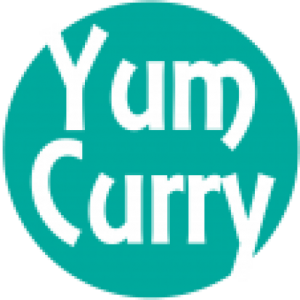 Follow my recipe to learn how to make perfect non sticky and delicious matar pulao with cooking instruction and matar pulao recipe with step by step photos. Matar pulao is a variation of pulao, pulao was originated in Indian subcontinent. It is all know as pilaf or pilao. In pulao, rice is cooked in seasoning broth and it additionally contains vegetable like peas, carrot, beans, cauliflower depends on local cuisine. It is usually served on special occasions. Winter is season of peas, carrots and lot of other green vegetable. So during winter fresh peas and red carrots are my must have food and I usually tried to include these veggie in many dishes as they are delicious and also good for health. Green peas are a good source of vitamin B1 and C, protein and iron, it is also a good source of folic acid. India is one of the world’s largest producers of rice and it is a staple food throughout all of India. Most of the meals use rice as their base food. Matar pulao is a popular dish prepared with rice, it is fresh, flavourful, fluffy and great alternative to simple steamed rice. Peas pulao is easy and quick to prepare, it is also a nice accompaniment to any simple main dish such as grilled chicken or fish. You can also make it more healthier by replacing white rice with brown rice. 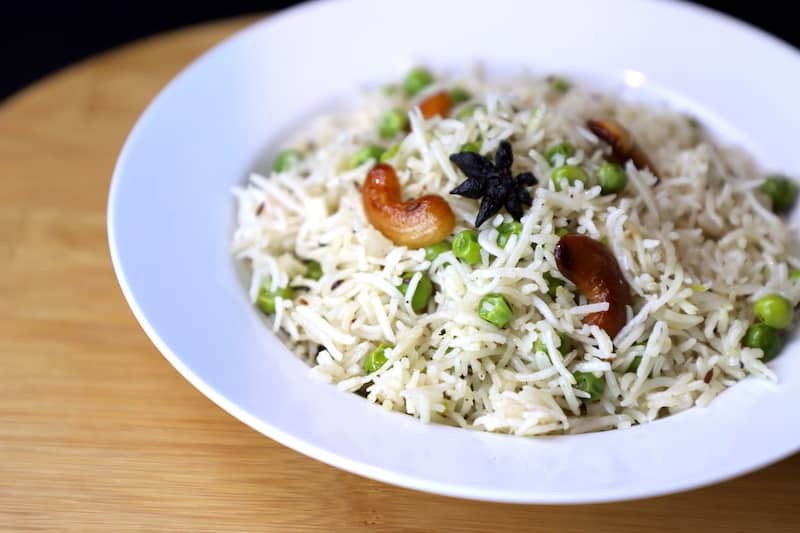 Matar pulao can be served with dal tadka or vegetable raita. As a side dish it is well go with almost every thing. It is light and flavour full, great recipe for lunch box. I love to have matar pulao in lunch time as it is quick to prepare. As a side accompaniment I have curd, pickle and roasted papad. Matar pulao is very simple and easy to prepare, every one knows this and probably don’t need recipe. But I am making it in different way, without onion, ginger, garlic adding just few whole spices. Recipe is very simple but make it perfect is little tricky, any pulao taste and look best if it has perfect cooked rice. After cooking rice, rice grain should be separated and if they become sticky or mushy probably there is something wrong with cooking. To give perfect texture to rice most important step is to soak rice for 30-40 minutes before cooking them. When you let the rice soak, it grains expand and look perfect like it is served in any restaurant. 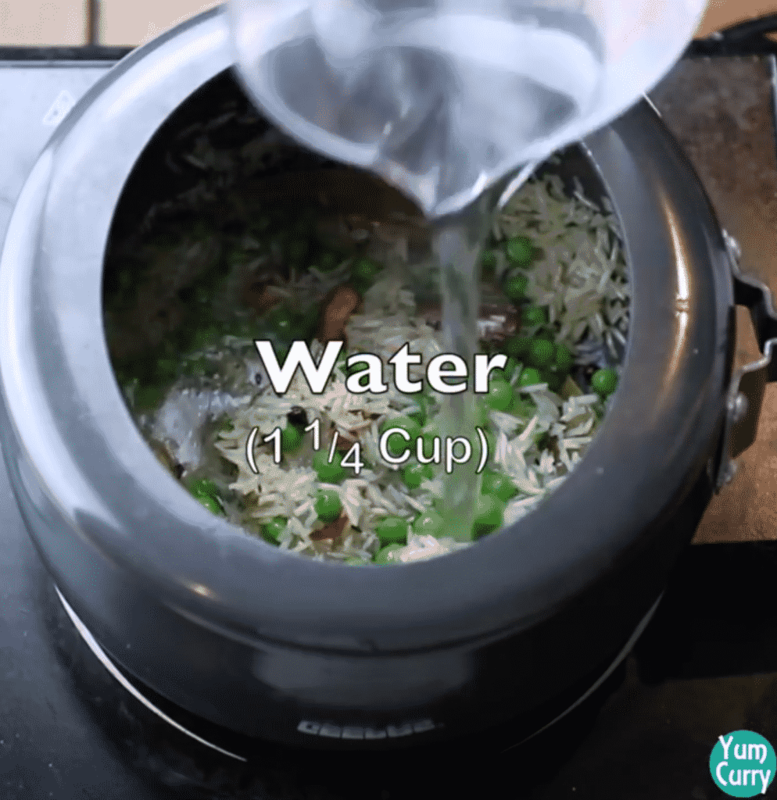 Another important step is to cook rice in right quantity of water and for right time. 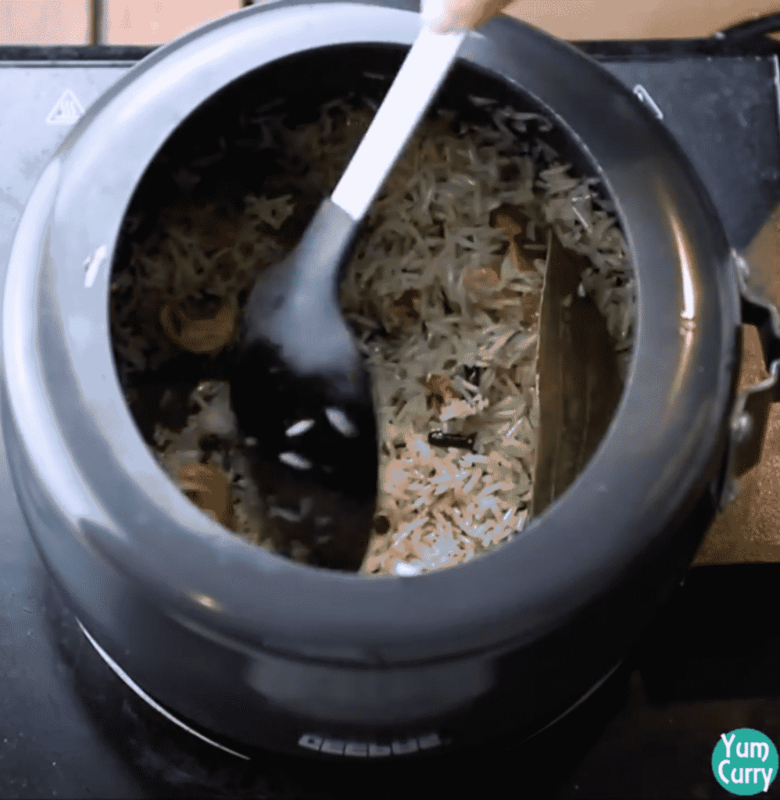 normally rice cooked in 1:2 ratio mean if you are taking one cup of rice add 2 cups of water to get perfect texture, but water content is also depends on quality of rice. You can get this information from back side of packaging. 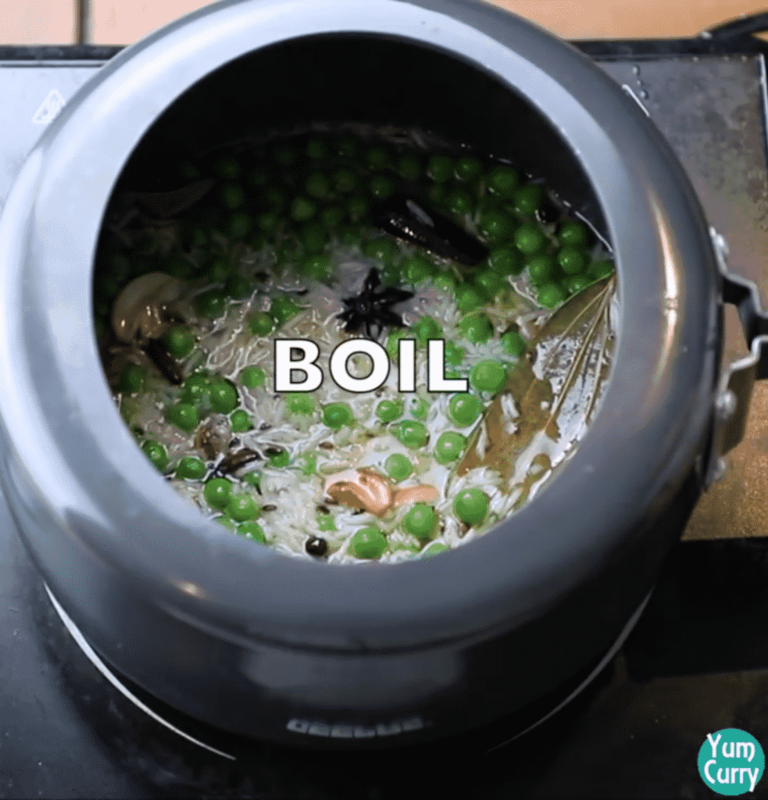 This is one pot recipe and prepare in just 20 minutes. In a pressure cooker add clarified butter, whole spices and cashews. When it become aromatic add soaked rice, sauté for a minutes. Add salt, sugar and garam masala. Add green peas and water. 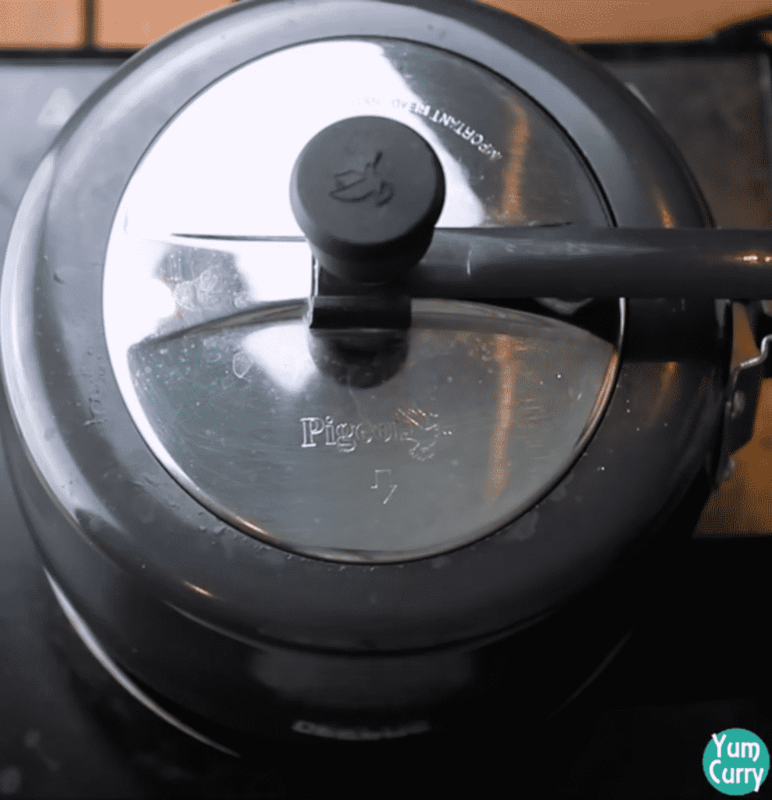 Pressure cook pulao for 2 whistle on low-medium heat. Let the pressure release by it own. You can accompanied delicious matar pulao with dal tadka, curd or vegetable raita. Garnish pulao with mint-coriander leaves. You can replace fresh peas with frozen peas. You can also sprinkle some fried onion on the pulao. Quantity of water varies according to the quality of rice, you can check required water content on the back side of rice packaging. You can also prepare this recipe on heavy bottom pan, just add little more water if using pan instead of pressure cooker. Checkout more rice recipe from my kitchen, click on the link to get full recipe. 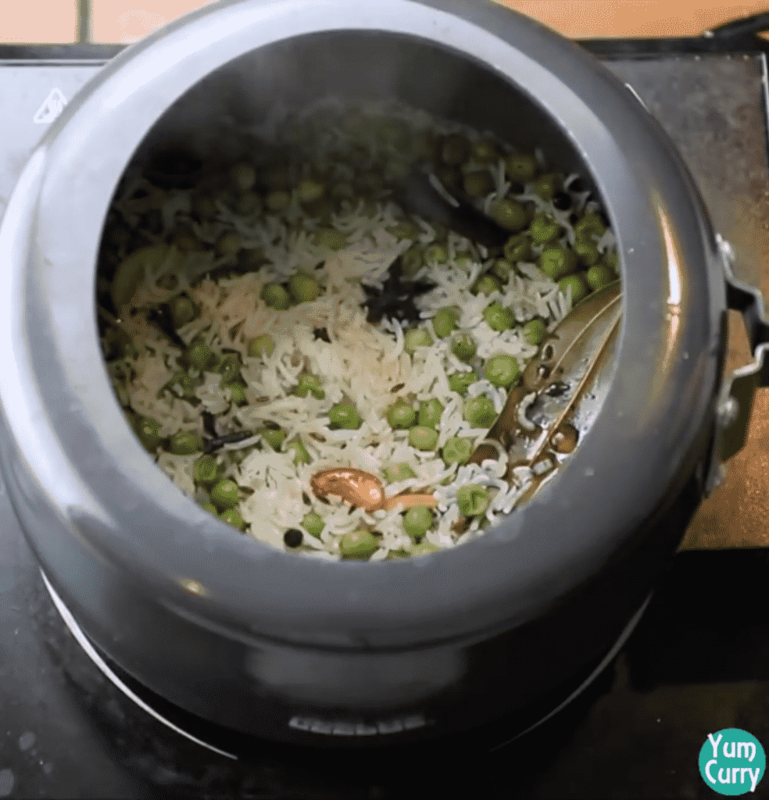 This simple and easy one pot dish is prepared with peas and rice. Rice and peas saute in whole spice and herbs and later cooked in pressure cooker. Matar pulao taste delicious and full of flavour. It is commonly served with vegetable raita or dal tadka. Rinse basmati rice till the water runs clear of starch and soak in enough water for 30 minutes. 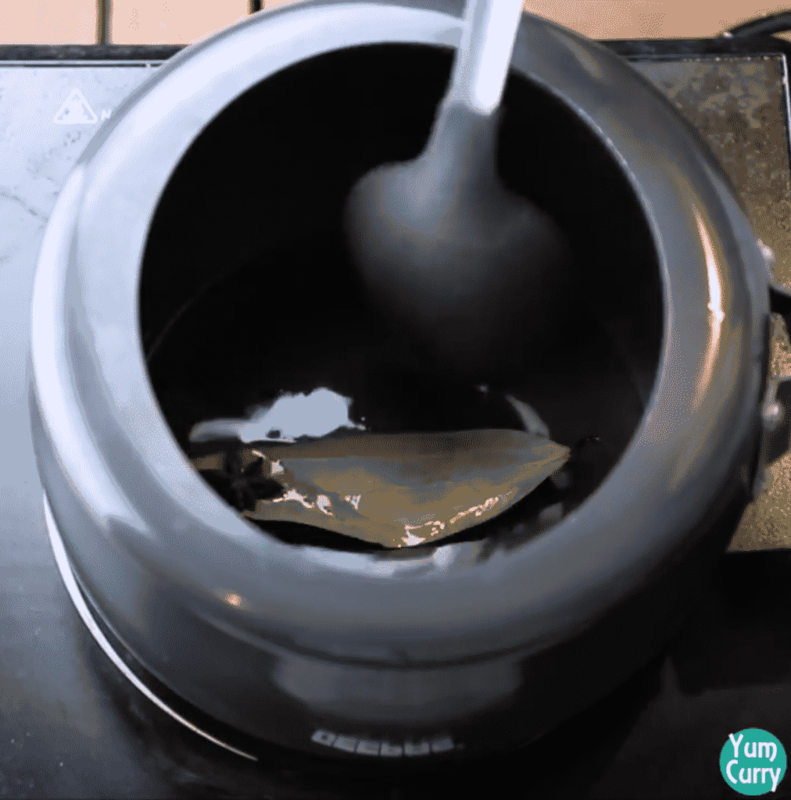 Heat a pressure cooker on low-medium heat add clarified butter or oil. Add whole spices bay leaf, cinnamon and star anise sauté till the oil become fragrant. Add black peppercorns, cloves and cumin seeds stir on low-medium heat. Add cashews and stir until cashew turn golden brown. Drain all the water from basmati rice. 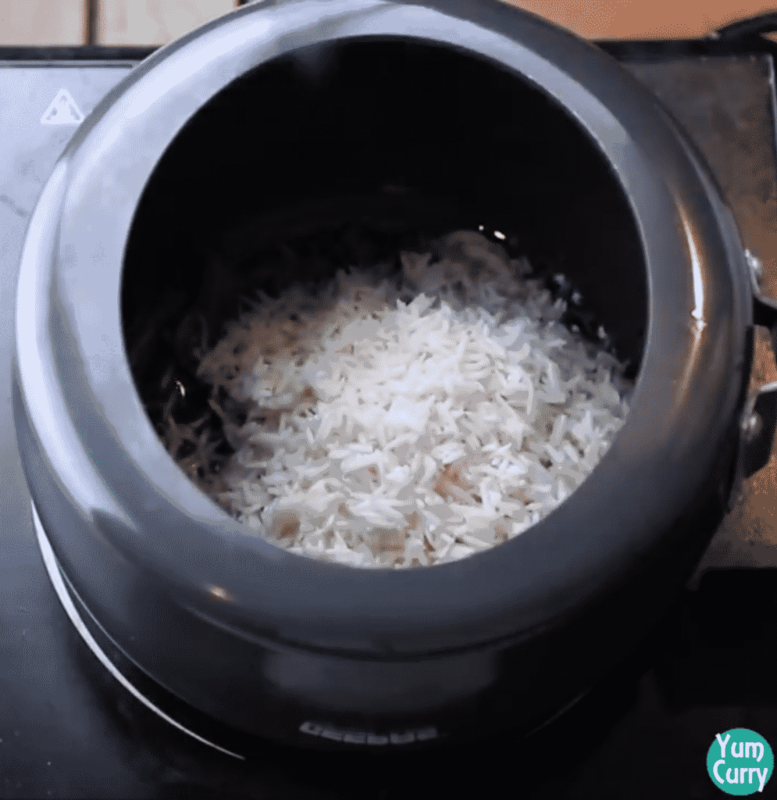 Transfer rice to the pressure cooker. Saute for 1-2 minutes on medium heat so that rice gets well coated with oil. Add salt, sugar and garam masala mix all well. Add green peas again give it a mix and add water, bring it to boil. Close the lid and pressure cook rice on medium heat for 2 whistle. 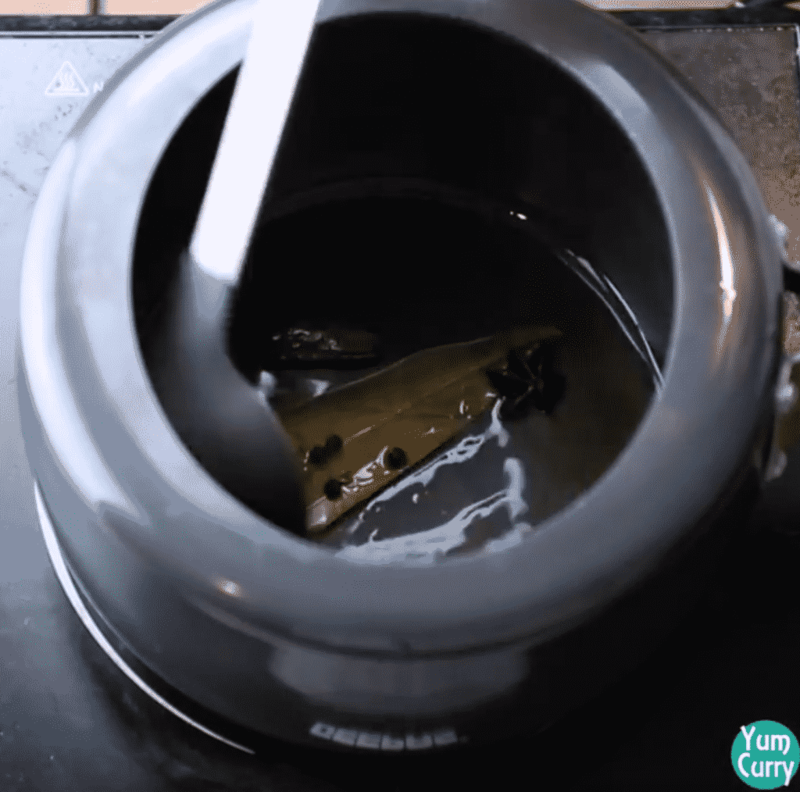 Remove pressure cooke from heat, let it cool down. Fluff rice with the fork. Matar pulav is ready, serve hot with any daal, raita or Indian curry. 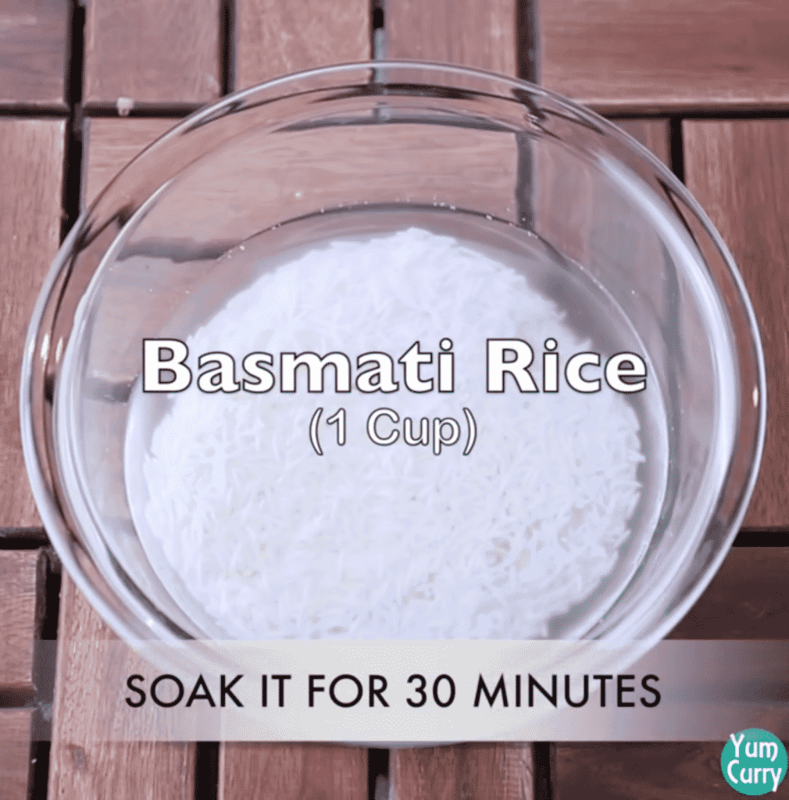 Rinse basmati rice until the water becomes clear of the starch and then soak it in enough water for 30 minutes. 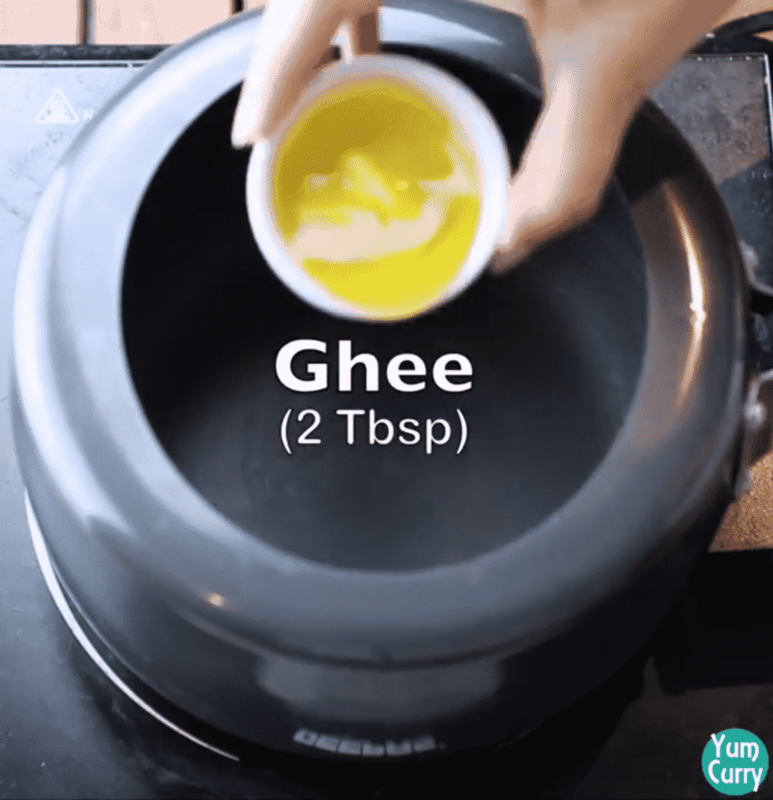 Heat the pressure cooker on low-medium heat and add clarified butter (Ghee) or oil. Add whole spices bay leaf, cinnamon and star anise. Sauté it until the oil becomes fragrant. Add black peppercorns, cloves and cumin seeds, stir on low-medium heat. 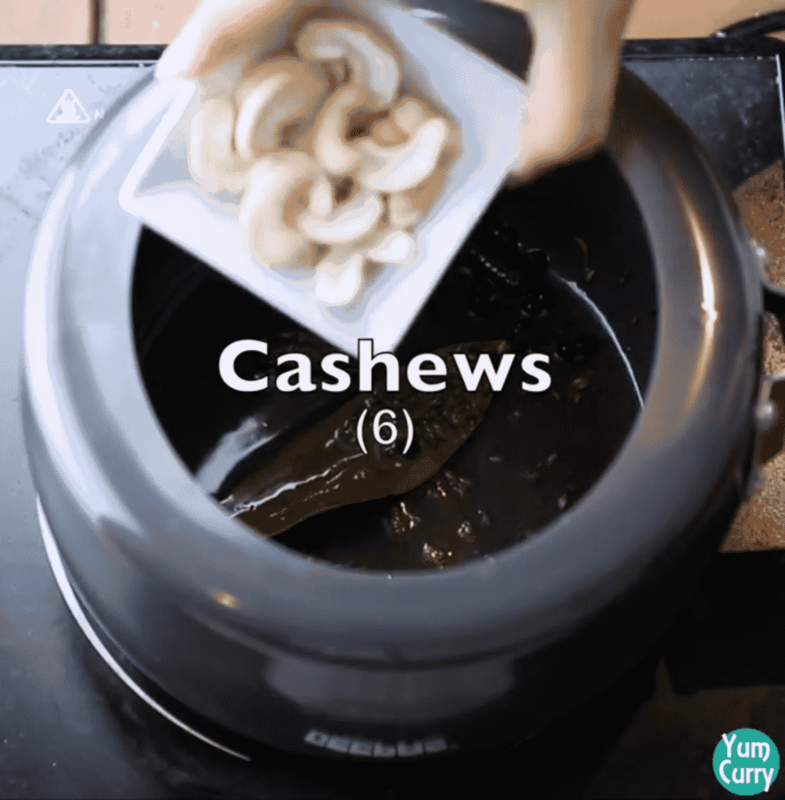 Add cashews and stir until cashew turns golden brown.